It is true that air conditioners are mostly used in the summer seasons but that does not mean you should not take care of the air conditioner during the winter season. In fact, only if you take good care of the air conditioner during the winter season; it will function well during the summer months. When it comes to the maintenance of your air conditioner during the winter months, there are certain things that you will be able to do all by yourself while there are some other things which will require help from HVAC professionals. It needs to be mentioned here that winter maintenance of air conditioner should comprise all preventive measures that will keep damage caused by ice, snow, and oxidation away from air conditioners. In case, you are planning to replace your air conditioner then you should keep in mind that winter is the best time to do so because during the winter season the prices of air conditioners are lesser when compared to their prices in the peak season. Besides buying a new air conditioner there are a lot of other maintenance tasks that you can take up during the colder months. For example, first and foremost you should turn your AC switch off. When you switch off the air conditioner the chances of electrocution is kept at bay and also the water can be kept away from the unit which in turn prevents freezing and further damage of the condensing unit. Cleaning the outdoor unit is another important factor that you need to undertake while you are taking care of your air conditioner during the winter months. 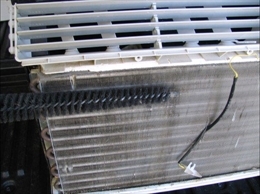 It is recommended that all debris around the outdoor unit is cleaned. The exhaust vents should be cleared off all kinds of debris and should not be covered by deep snow. The hose should also be washed at regular intervals so that there is no chance of building up of debris. It is true that changing of filters is a regular maintenance aspect that you should look into but during the winter season, the tendency to build up allergens and dust is even more. Hence, fall is the best time to replace the air filters. This is because if the filters are not replaced during the winter season the efficiency of the air conditioners will decrease. To check the condition of your AC unit is also one of the important things that you need to do during the winter season. For example, you should look for cracks, pipes that are disconnected, clogged drains and things like that. However, there is no need to become an HVAC expert in order to check these kinds of problems. It is recommended that the outside unit of the air conditioner should be covered. The main reason to cover the outdoor unit is to prevent it from cracking, debris, and other elements. As far as the kind of cover is concerned, you can find covers which are typically designed for air conditioners at all home improvement stores. 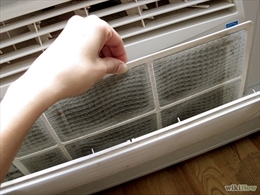 Last but not the least; you should schedule maintenance of the air conditioner once a week.